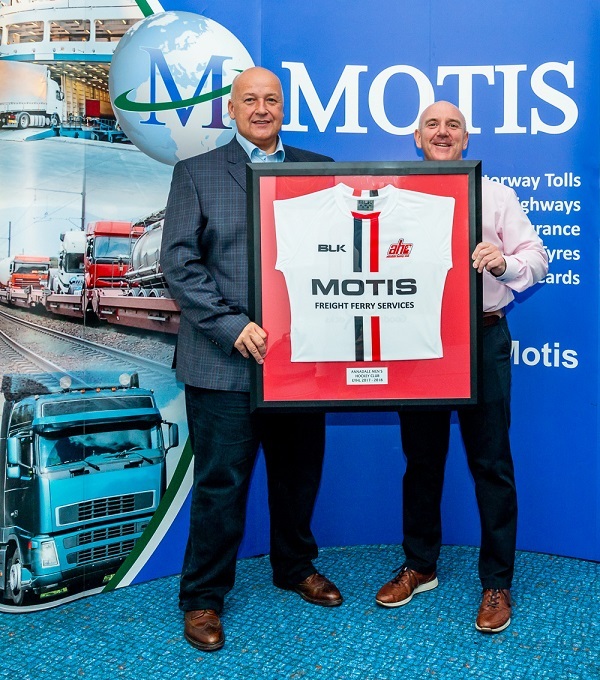 Club Chairman, John Stephens, recently presented David McComb, Managing Partner, Motis Ireland Ltd., with a framed club shirt to acknowledge their sponsorship of the Club’s participation in the EY Hockey League last season. Calling all hockey players. Whether you’re moving to Belfast for university, wanting a fresh challenge, coming out of early retirement or any other reason we’ll welcome you all! 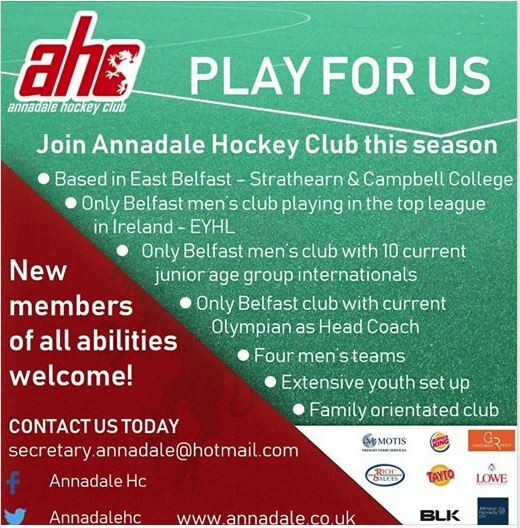 Join one of our 4 senior men’s teams for the season ahead. The Downloads section has been updated to include the Junior Club Membership Form for the coming season. The second page of this document is the kit order form. The Downloads section at the bottom of the website now includes a mini brochure and separate order form for Club Kit. All players are expected to wear the current Club Kit during the coming season. Please ensure you have your order submitted as soon as possible. Congratulations to Paddy Crookshanks on his selection for the Ulster Boys Squad to participate in the UK School Games taking place in Loughborough from 30th August to 2nd September 2018. Best wishes to Paddy and the Boys and Girls Squads for a successful and enjoyable tournament. The Chairman’s letter (and membership forms) have been circulated on 6th August 2018. It is apparent that some email addresses are not current. If you have not received a copy please send your up-to-date email address to Drew Larmour at secretary.annadale@hotmail.com.